Pittsburgh • A man nicknamed the "Bucket List Bandit" by the FBI after he allegedly told a Utah bank teller that he had just four months to live has pleaded guilty in Pennsylvania to that robbery and 10 other heists in nine other states. Michael Eugene Brewster, formerly of Pensacola, Fla., faces a likely sentence of between 10 and 14 years in federal prison when he returns for sentencing Aug. 12. Until the new charges were filed Tuesday, Brewster, who was 54 when he was arrested, had been formally charged only with the Erie, Pa., bank robbery, though the FBI months ago named him as a suspect in the others based on surveillance video from the other heists, nearly all of which showed a bespectacled robber, with graying hair combed back, wearing a blue polo shirt with a pocket. Brewster has been jailed since his arrest Sept. 13 in Roland, Okla., after he ran a stop sign near a casino close to the Arkansas border. When the FBI warrant for the Erie heist showed up on a computer search, Brewster was jailed there until he could be brought back to Pennsylvania, where federal prosecutors took over the nationwide investigation. According to court documents, Brewster stole a total of $33,858 in the robberies, though an amount wasn&apos;t listed for his fifth robbery, a July 20 heist at the Bank of America in Winston-Salem, N.C. 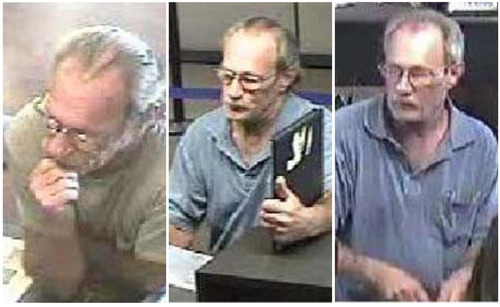 The least Brewster stole was $632 from Landmark Bank in Columbia, Mo. on Aug. 29, and the most he netted was $7,000 taken from the Wells Fargo Bank in Roy, Utah, on July 6  the fourth robbery in the string, during which he made the remark to the teller which prompted his FBI nickname. In each robbery, Brewster handed a teller a note and claimed to have a gun, though he never displayed one. 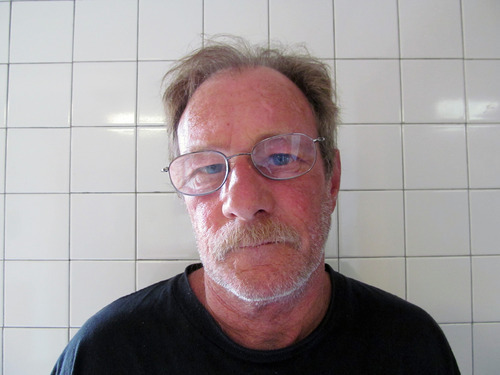 In some cases, Brewster explained his actions by claiming to be terminally ill and, according to the FBI, specifically told the teller, "I have four months to live." Federal public defender Thomas Patton declined to comment on whether Brewster was terminally ill and Brewster merely shrugged and smiled when the AP asked him that question after his detention hearing in Erie last October. Asked whether Brewster&apos;s illness has been confirmed, Assistant U.S. Attorney Marshall Piccinini said, "I can&apos;t say that is has or hasn&apos;t been. There&apos;s been nothing presented to us" that suggests Brewster is ill, Piccinini said. Although the FBI gave him a nickname, investigators didn&apos;t learn Brewster&apos;s true identity until a tipster saw news coverage of the Erie heist and called to give agents Brewster&apos;s name and birth date. The FBI filed a criminal complaint for the Erie heist after the teller picked his mug shot out of a photo lineup, and they began investigating his involvement in the other robberies based on surveillance video and other similarities. In addition to the robberies in Colorado, Columbia, Mo., North Carolina, Utah and Pennsylvania, Brewster is pleading guilty to robberies in Flagstaff, Ariz.; Pocatello, Idaho; Altamonte Springs, Fla., Chattanooga, Tenn.; Bloomington, Ill.; and O&apos;Fallon, Mo., Patton said. Nobody was hurt in the robberies.